Adafruit has this week announced the availability of a new Tri-Color eInk or ePaper display with SRAM. Priced at $22.50 the 2.13 inch display provides three colours in the form of red, black and white. The chip shares the SPI port the eInk display uses, so you only need one extra pin. And, no more frame-buffering thanks to the small SRAM chip on the back. Check out the video below to learn more about the latest arrivals at the Adafruit online store. 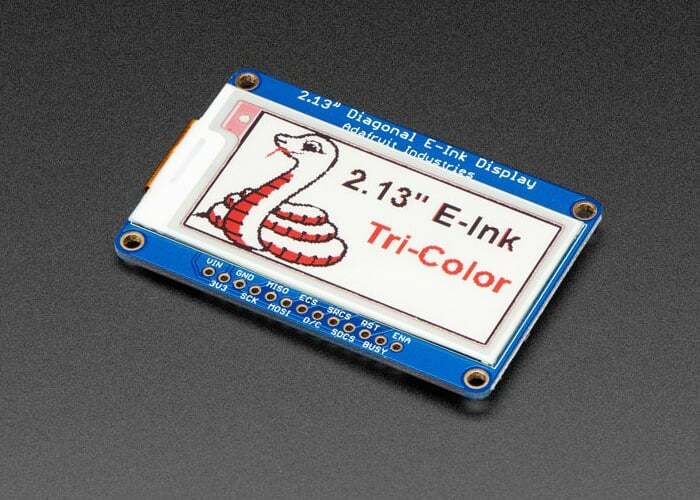 For full specifications of the 62.0mm x 40.0mm x 5.0mm Tri-Color eInk or ePaper display jump over to the Adafruit online store by following the link below.